City Hall has asked the MBA program at Wilfrid Laurier University to conduct an economic impact study of Sarnia Chris Hadfield Airport. The research will be done by students under the supervision of professors, and be similar to studies the university has completed for Waterloo Regional and Toronto’s Pearson International Airport. 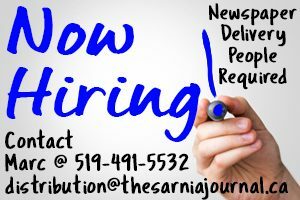 Transport Canada provided a capital fund when Sarnia took ownership of the airport, but with that money now gone taxpayers are responsible for any improvements. In a bid to increase overall airport usage, Air Canada cut the number of daily flights but began using larger and more reliable Dash-8s on Nov. 1. The impact study will complement an airport strategic plan already in the works and could be ready by June, said assistant city solicitor Daniel Byskal.